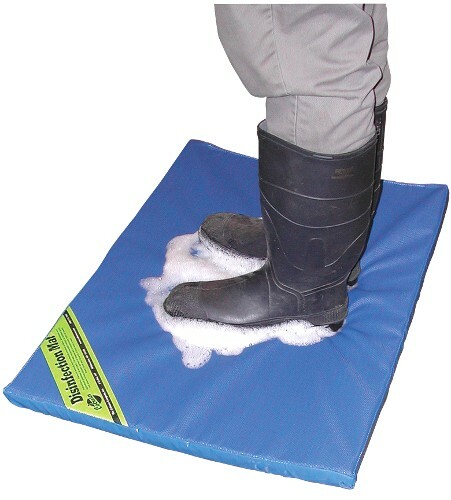 Mats keep hygienic areas free of contamination and germs. Ideal for food processing plants, hatcheries, farm sites or anywhere that control of contamination is required. These mats have thousands of pliable rubber scrapers that dislodge contaminants from footwear as the shoe soles are immersed in the disinfectant solution. The 61 x 81.3 cm (24 x 32") mat is 1.3 cm (1/2") thick and holds 3.8 L (1 gal.) of disinfectant solution. The 81.3 x 99 cm (32 x 39") tall-wall mat has 6.4 cm (2-1/2") sides that allow it to hold up to 20.8 L (5.5 gal.) 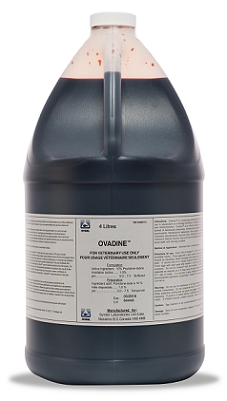 of sanitizing solution such as Ovadine. When used to fill the mat, the solution will totally immerse the treads and sides of boot soles, while the fingertips release any accumulations. Parasite-S is an approved parasiticide for the control of external Protozoa and Monogenetic Trematodes on all fin fish. 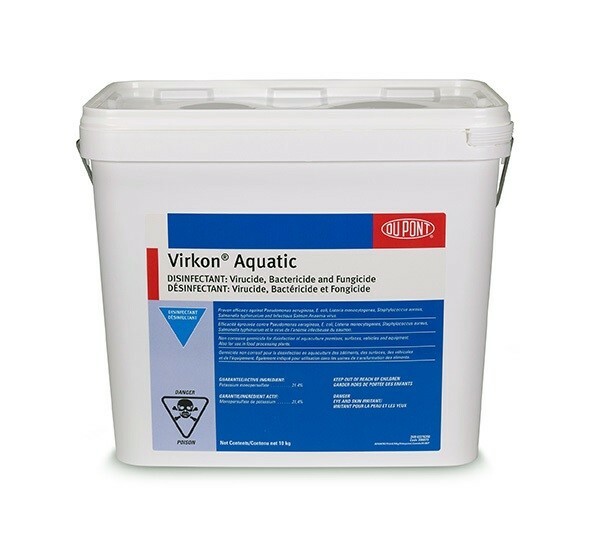 It is also approved as a fungicide for fin fish eggs. See the "Directions for use" above for approvals and directions for use. To use PARASITE-S to treat additional diseases or species not covered on the current label, a licensed veterinarian may be able to prescribe the legal extra-label use. Parasite-S is manufactured in FDA and Health Canada approved and inspected production facilities. The use of other grades of formaldehyde on fish may be in violation of regulations. Parasite-S is classified as a dangerous good and it must be shipped and handled according to the DOT Transportation of Dangerous Goods regulations. Refer to the Directions for Use, and MSDS for details on directions for use prior to treating fish of any life stage, as well as limitations and cautions for all uses. Does not ship when temperatures are below 5°C. 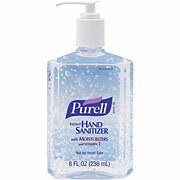 Purell® hand sanitizer contains moisturizers with vitamin E. Kills 99.9% of germs, without water. 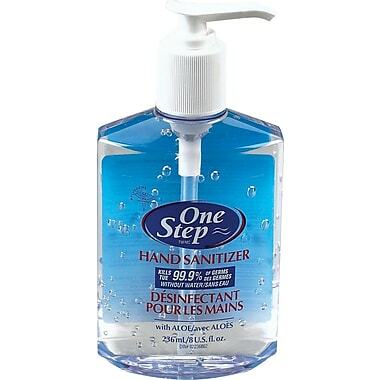 Use to supplement routine handwashing. Hypoallergenic. Dermatologist tested. 1000 mL bag-in-box system. Uses SANITARY SEALED™, 1000 mL bag-in-box refills. Wall mounted. Allows for portion control and they also have sanitary-sealed refills. 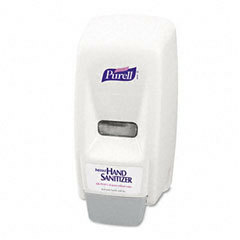 Reduced risk of soap contamination. 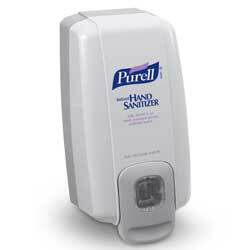 Use Purell Refill 1000mL. 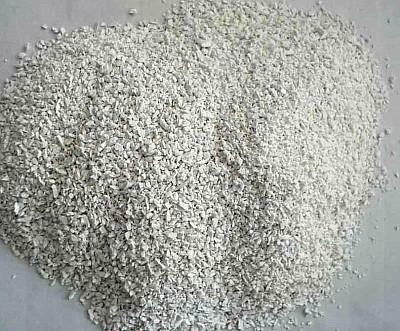 Calcium Hypochlorite: Granular Chlorine 65%, 45 Kg Pail. 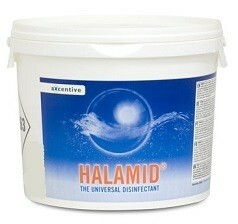 Halamid is the brand name of the highly effective, broad spectrum disinfectant Chloramine-T.